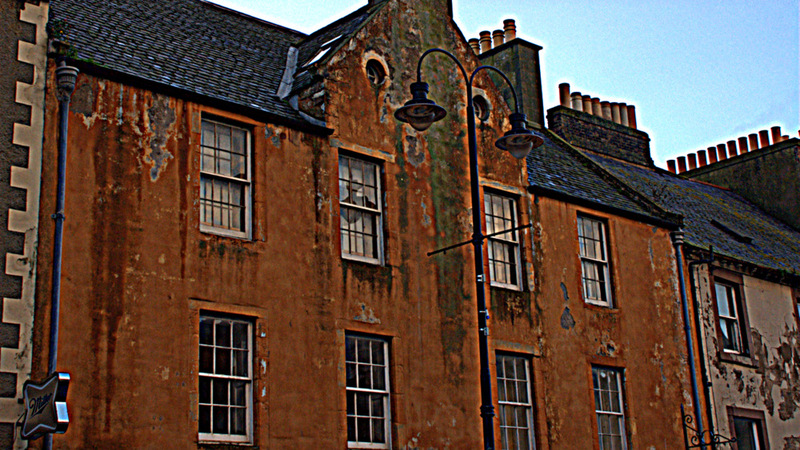 Unfortunately UK Government has responded to the petition calling for a reduction of VAT to 5% on approved repairs to listed buildings with a flat: “No Way Jose!”, neglecting to mention the devolved arrangements for heritage in Scotland. But anyway losing £2.5b is a sizeable amount. In context over the past year, Historic England has spent nearly £10 million in grants, HES this year around £4m, of which £1.4m is a block grant to the National Trust, not all of this towards is towards physical building improvements. Meanwhile VAT on new buildings, which by and large reduce the heritage value of villages, towns and cities up and down the country, remains a whopping 0%. One wonder what this would be worth to the Exchequer? VAT is a broad-based tax on consumption and the standard rate of twenty per cent applies to most goods and services. While there are exceptions to the standard rate, these are strictly limited by domestic and EU law as well as by fiscal considerations. VAT is an important source of revenue which is used to fund the government’s public spending priorities including hospitals, schools and defence. “The LPOC’s petition calling on the Government to reduce VAT to 5% on repairs and approved alterations to listed buildings reached the 10,000-signature milestone that triggers a Government response. We have now received that response and although it was no surprise that the Government would turn down our appeal, the arguments Ministers have made are deeply disappointing. The Government has claimed that it would not be possible to introduce a reduced rate for repairs and alterations to listed properties alone and to do so for all properties would cost the Exchequer at least £2.5 billion a year. For this reason Ministers say have no plans to change the VAT treatment of renovations and repairs at this time. We are not satisfied with this response and will take advice on whether there is any legal or tax reason to prevent a discrete reduction for listed properties. (see VAT Directive 2006/112/EC which clearly permits member states to apply a reduced rate of VAT on housing renovation and repair. This directive was updated in 2009 to allow all member states to permanently reduce VAT to 5% on the renovation of private dwellings, excluding material) Therefore EU rules are not a barrier to the UK Government choosing to apply a reduced rate of VAT on this type of work. Furthermore given a specific VAT rate existed for listed properties until 2012 we believe there is no reason why a different rate cannot be reintroduced to support what Ministers accept is the valuable contribution the owners of listed properties made to the UK’s heritage. The impact on the Treasury’s finance would be minimal given listed properties only represent around 1.6% of total UK building stock. And who can forget the outcry when the then Chancellor decided to introduce the pasty tax – the Treasury can make individual and specific decisions when it wants to. It is also surprising that the Government continues to maintain the argument that it must stick with EU rules on VAT when it is negotiating Brexit. An independent report commissioned by the Federation of Master Builders in 2014 suggests a reduction of VAT on housing repair and renovation could provide a £15 billion economic stimulus over a five year period, creating more than 42,000 extra full time jobs and an additional 53,000 jobs in the wider economy. So our campaign does not stop here – far from it. We will continue to keep up the pressure and we have a good deal of ammunition to make our case and are developing a number of plans to build our VAT campaign. In the meantime I would urge all listed property owners to continue to sign the petition which remains active until 2nd January 2019 Click here to sign the petition. We need to show Ministers what a powerful body of opinion there is behind the campaign. We will also be writing to the Shadow Chancellor John McDonnell urging him to consider the VAT reduction as part of the Labour Party’s manifesto planning.